Author: Did you like it? Reader: I liked your other book better. Author: What do you think? Reader: I’m so proud of you! Author: Yes, but what did you think? Author: Have you read it yet? Reader: It’s not my kind of thing. Reader: Sort of, all of it. No one is more objective than a stranger. So while writing ‘Summertime’, I posted my first two chapters on a feedback site for writers, www.youwriteon.com . The response was tremendously helpful, not least in confirming that the opening of the book was grippy enough to continue. And the community’s comments even convinced me to re-think one of my minor characters and turn her into a headliner. It was a safe, closed environment with a lot of rules in place to prevent abuse, and I would recommend the experience to other new writers. Technology has transformed the author/reader relationship, democratised it. Before the internet, the only way to interact was in person or by letter. It was all very formal, with reviews the province of serious publications. But now the barrier has shrunk, become permeable. Bloggers get their reviews into circulation instantly. It’s possible for readers and authors to communicate at every stage of the process, from the genesis of the idea, to the story outline, to the draft manuscript. Readers can follow their favourites on social media. There are lots of options for authors to ‘crowd-source’ opinion (and funding) online. And that’s a very good question. As I began working up ideas for book two, and wanting to share them, I started to wonder if I was just this needy, exhibitionist weirdo (entirely possible). Did other writers feel the same? 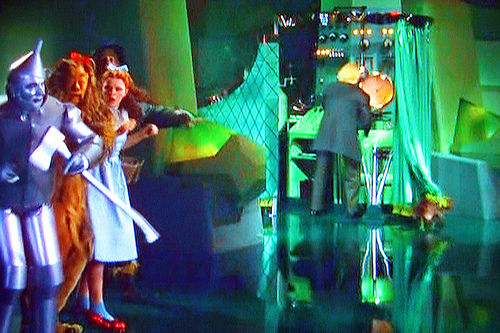 Or would it seem like pulling back the Wizard of Oz’s curtain, revealing the workings of something that should never be exposed? Would it differ between new and established names? So I sounded out some fellow authors at different career stages to find out a) whether they solicit reader opinion while writing and b) who they use. The results were very interesting, and worthy of serious study by someone with a sociology degree. And then there are those who produced their first book during a structured program. Karin Salavaggio (Bone Dust White) and Sarah Louise Jasmon (‘The Summer of Secrets’) took part in a Masters writing program, and hence had a lot of peer group involvement. It’s been very informative to ‘consult my fellow wizards’ in this matter. Now, as I leave the Land of No Expectations, I do so with a greater appreciation for how my debut novel has affected readers. Their views and questions are mixing in my brain along with the ideas about plot, character and setting. I have a feeling that I will still want to pull back the curtain as the next book takes shape, which has more to do with my personality than anything else. But if I do, it will be with more confidence, more control, and more assurance than before. I have learnt my craft by appreciating often tough criticism from fello writers in my writing groups over the years.I’ve also had to learn to be humble as well! Not such a bad outcome but not an easy one. Great blog post!